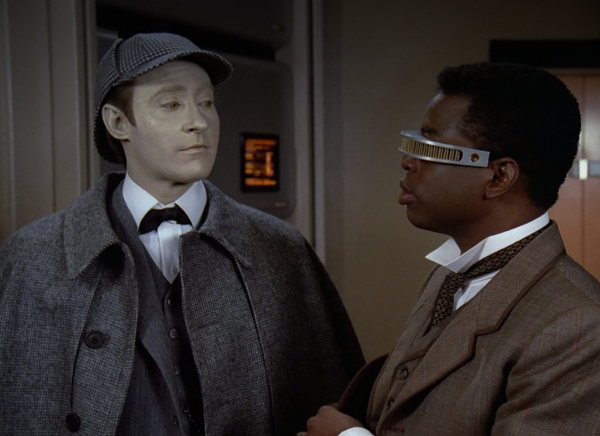 Data is too good at solving Sherlock-esque mysteries, so Geordi makes a wish on a holodeck star and almost kills everyone. Meanwhile Geordi was one elbow patch away from being a young college professor trying too hard. 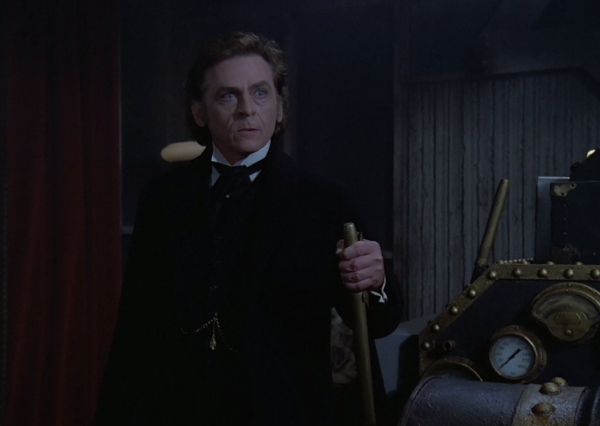 Moriarty calling the arch was a genuine surprise. Along with the wonderfully sexist “Mister Computer” when he talks to the ship (that speaks back in a female voice, but whatever). Why would you even suggest that?! After Geordi suggests using a particle beam to destroy Moriarty and all the human flesh in the holodeck too (which includes the new doctor). 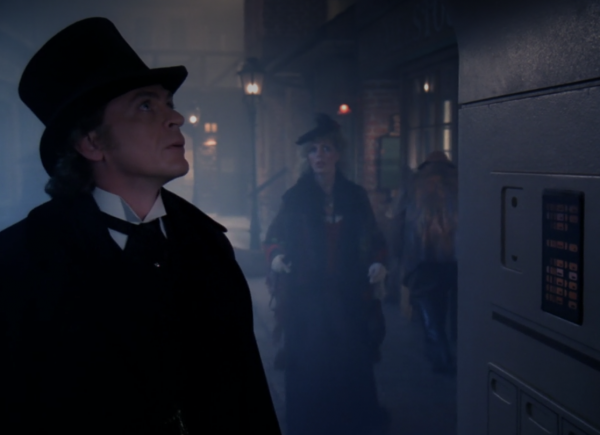 Moriarty’s request to keep existing. The definition of life. It’s no coincidence that Data is the lead in this mystery. Himself struggling with the meaning of life and sentience. A theme we’ll encounter again later this season. And let’s not forget that this starts the “you have to tell the computer exactly what you mean” otherwise it’ll create something that might destroy the ship trend that permeates the series.